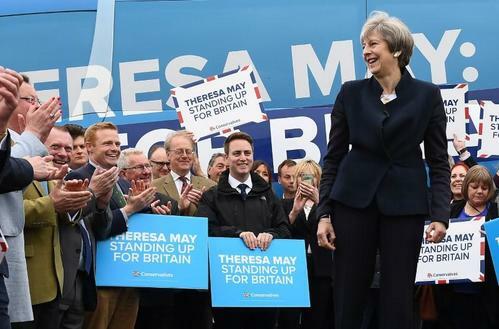 Reuters UKBritish Prime Minister Theresa May's Conservative Party has an 18 point lead over the main opposition Labour Party ahead of a June 8 national election, according to an opinion poll conducted by Comres for the Sunday Mirror and the Independent. 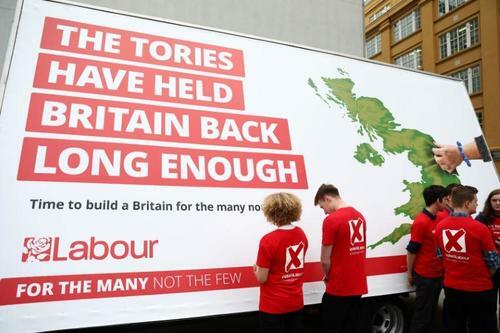 Reuters UKBritain's opposition Labour Party would crack down on tax avoidance and introduce a "Robin Hood Tax" on financial transactions to fund public services if it wins next month's national election, it said on Saturday. 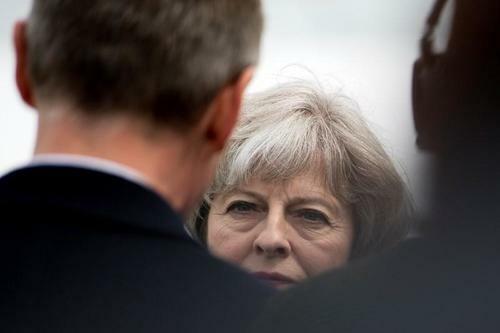 Reuters UKBritain is gearing up for rows with the EU over the structure of divorce talks and the future role of the European court, fuelling an increasingly bitter war of words before negotiations begin. 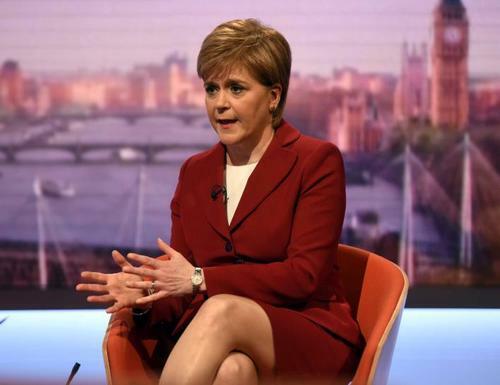 Reuters UKScotland must have a choice on independence at the end of Britain's divorce with the European Union when the exit terms are clear, First Minister Nicola Sturgeon said on Sunday. 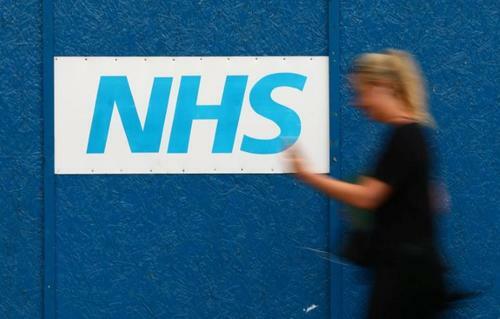 Reuters UKBritain is spending around 50 million pounds on improving the security of the National Health Service's computer systems and had warned the NHS it faced cyber threats, defence minister Michael Fallon said on Sunday. 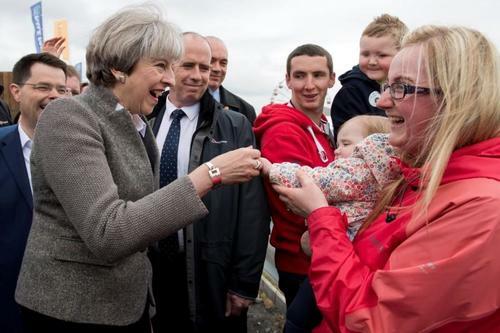 Reuters UKPrime Minister Theresa May will promise on Monday to extend British workers' rights in the workplace and the boardroom, part of a push to win over traditional working class supporters of the opposition Labour Party in next month's election. 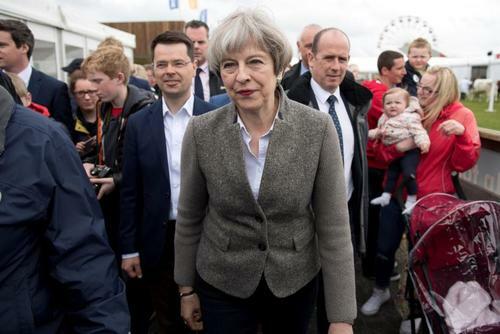 Reuters UKBritish Prime Minister Theresa May's Conservatives have slightly extended their large lead over the opposition Labour Party as the state-run health service takes over from Brexit as the nation's top concern, a poll said on Monday. 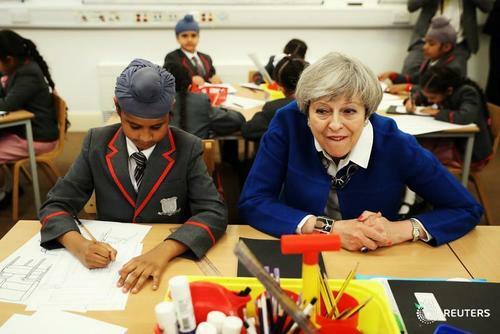 Reuters UKBritish Prime Minister Theresa May's Conservative Party held a 20 point lead over the opposition Labour Party, down a couple of points since last week but still a "largely impregnable" advantage, pollster ICM said on Monday. 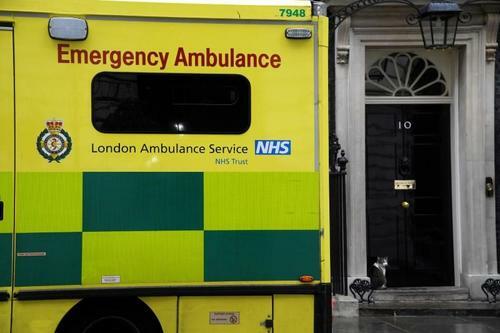 Reuters UKThe most disruptive cyber attack in the seven-decade history of Britain's national health service propelled a debate over state hospital funding to the centre of the election campaign on Monday. 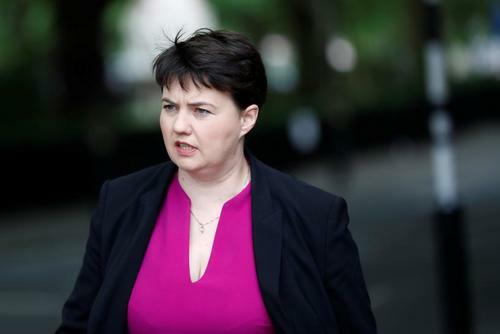 Reuters UKThe leader of the Scottish Conservatives Ruth Davidson used British writer George Orwell, a darling of the left, to attack her Scottish nationalist adversaries on Monday, saying no one party could purport to be the authentic voice of the nation. 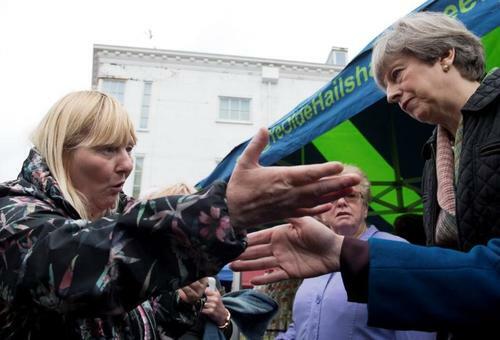 Reuters UKPrime Minister Theresa May was confronted while out campaigning on Monday ahead of next month's election by an angry voter who scolded the British leader over cuts to disability benefits. 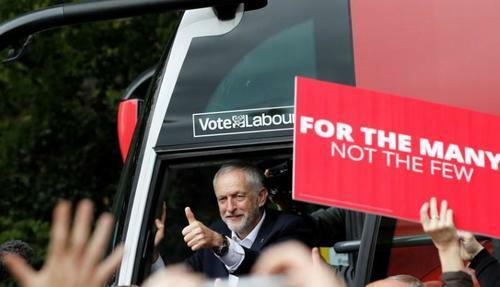 Reuters UKBritain's opposition Labour Party will launch what it calls a "radical and responsible" manifesto on Tuesday, signalling a shift to the left to try to capitalise on voters' concerns over education and health before next month's election. 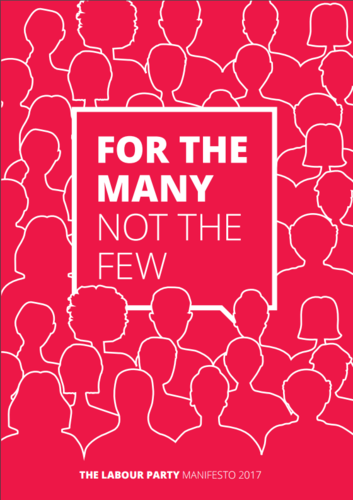 The full Labour party manifesto is presented as a PDF that can be accessed here. Corbyn asks May to come out of hiding and have a TV debate. 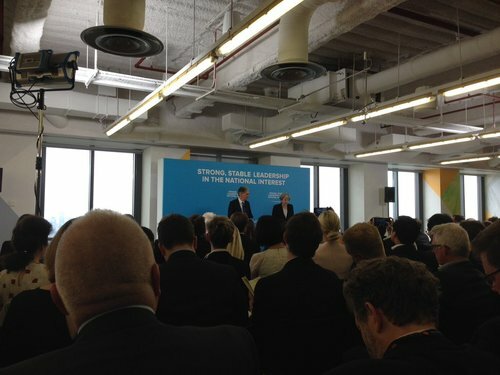 Corbyn speaks about the contribution of immigrants to UK society. 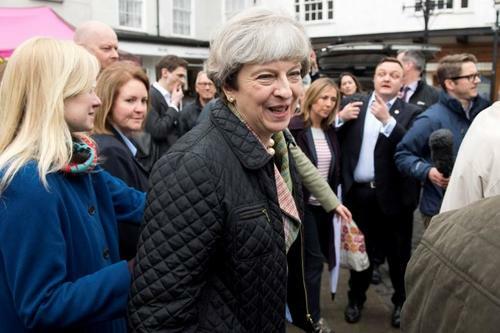 Reuters UKBritish Prime Minister Theresa May's Conservatives have seen their large lead over the Labour opposition narrow slightly after details of Labour's policy programme were published last week, an opinion poll from Panelbase showed on Tuesday. 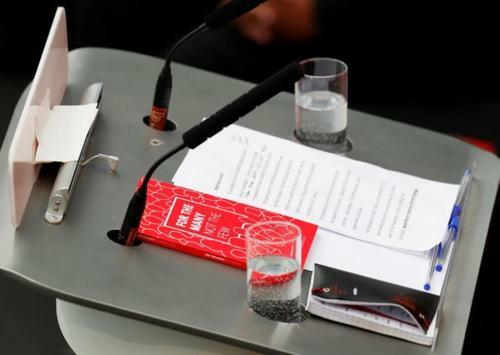 ICYMI: UK Labour party leader Jeremy Corbyn and his shadow cabinet launch the party's manifesto in Bradford, England. 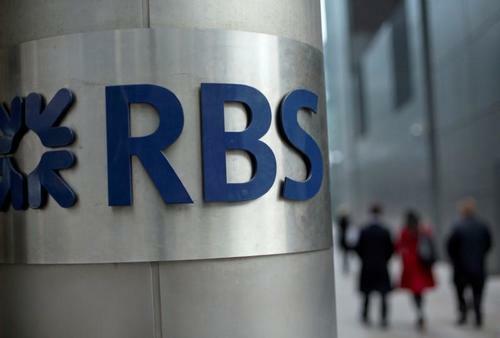 Reuters UKThe Labour Party would launch a consultation to break up state-owned Royal Bank of Scotland into smaller local banks, the party said on Tuesday at the launch of its election manifesto. 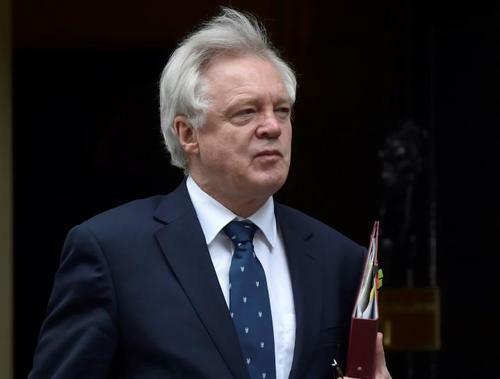 Reuters UKNo talk of opinion polls and definitely no boasting - Britain's governing Conservative Party is under strict orders before a June election which it hopes will "destroy" the opposition. 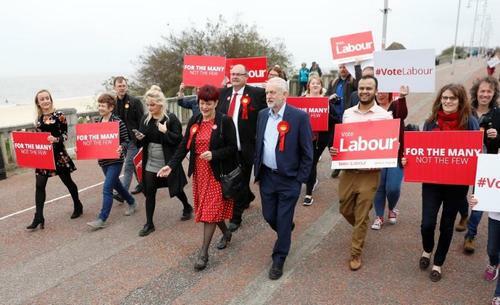 Reuters UKBritain's opposition Labour Party launched a "radical and responsible" election manifesto on Tuesday, showing a shift to the left to try to capitalise on voters' concerns over education and health before next month's vote. 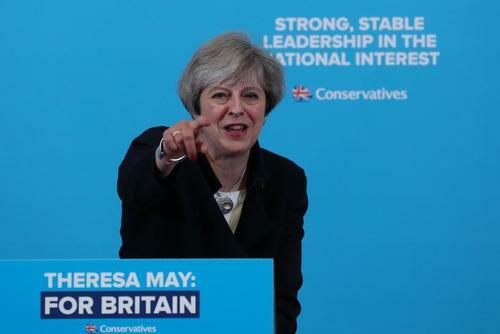 Reuters UKBritish Prime Minister Theresa May's Conservatives have extended their lead over the opposition Labour Party ahead of the June 8 national election as support for smaller parties wanes, a poll by Kantar Public showed on Tuesday. 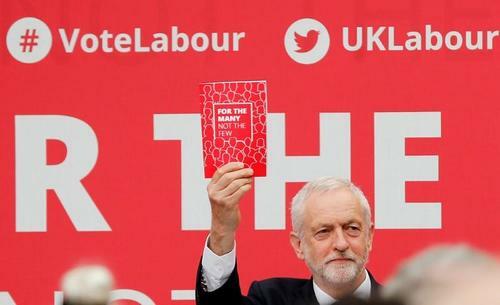 Reuters UKBritain's opposition Labour Party launched its manifesto on Tuesday for a June 8 election, promising to renationalise mail, rail and water services, increase tax on the highest earners and clamp down on corporate excess. 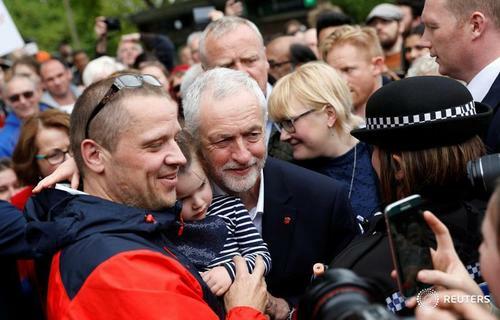 Reuters UKThe leader of Britain's biggest workers' union has said he couldn't see the opposition Labour Party winning a June 8 parliamentary election, a remarkable statement from one of Labour leader Jeremy Corbyn's most powerful supporters. 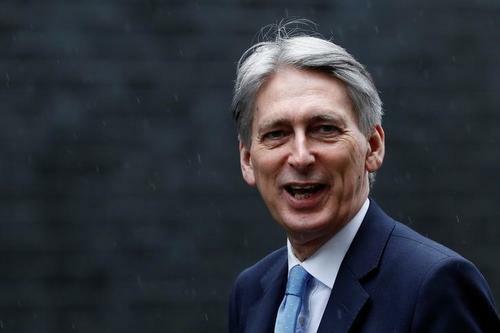 Reuters UKBritish finance minister Philip Hammond said on Wednesday that he would not deny he had occasionally sworn at members of Prime Minister Theresa May's staff, but dismissed reports of a deeper rift with her team as "tittle tattle". 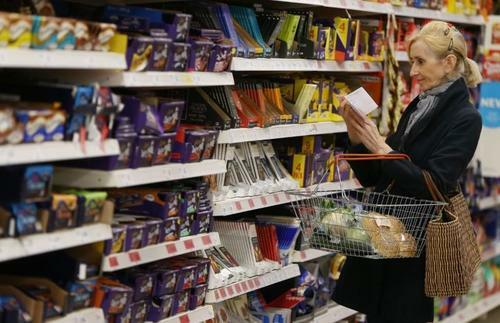 Reuters UKInflation has gnawed further into the budgets of British households this month, according to a survey that suggests the greatest financial squeeze for consumers since mid-2014 as a national election approaches.